A thrilling trip to the heart of the series. Steve Thompson is getting better at writing for Doctor Who after his shaky debut with the rather underwhelming `Curse of the Black S spot`. 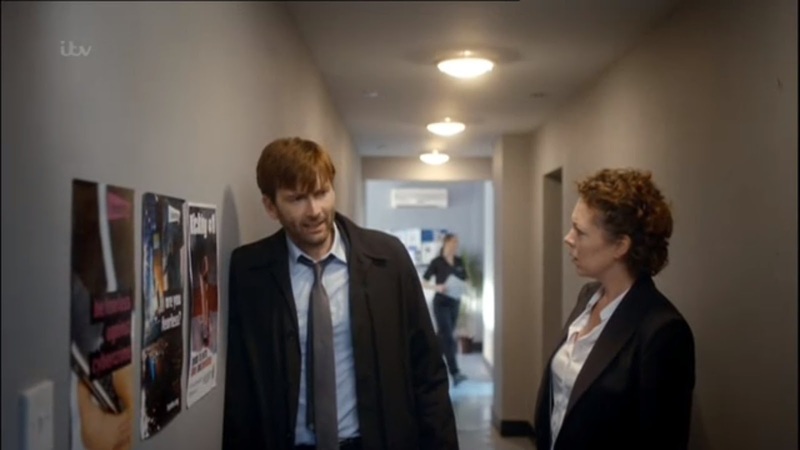 For his second go he delivers something that acts as a sister story to last year’s `The Doctor’s Wife` in which the TARDIS was briefly incarnated as a person. That episode, one of the last seasons best, has echoed through the show since and now we get to see inside the ship in a different way. Arguably you might say this episode should have come first but it is nonetheless a scintillating trip into the heart of the ship and symbolically the series itself. "It looks bigger on telly..."
Child, When You Walk In To The Room [NEW]. The audience are waving scarves printed with the word CHILD. This performance has two big visual gimmicks. First a weird split screen effect at one point to show the drummer and one of the guitarists. Second a camera on a crane at the side of the stage so the Child lead singer can croon into the lens in close-up while the rest of the band remain in shot behind. This odd angle also allows us to see the next stage along in the studio where Tony Blackburn is preparing for his next link. He's tapping his feet and absent-mindedly swinging his arms like the proverbial uncle at a wedding disco. Following an encounter with a UFO while flying a shuttle from the Moon, Commander Foster and Captain Craig seem determined to despatch Commander Straker. It’s surprising that it takes alien hypnotism to spur Foster into wanting to kill Straker as he has plenty of reasons anyway. 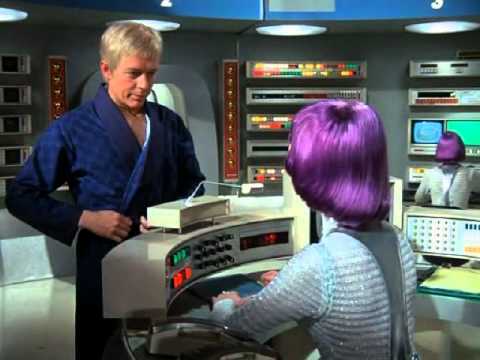 In fact there are probably regular discussions by the gigantic coffee machine on Moonbase on just that topic. Straker himself is so appalled by the idea that someone would wish him harm that it takes him most of the episode to link the duo’s behaviour with the alien encounter. The viewers of course are a step ahead courtesy of a mind bending miasma of coloured lights and deep voices that we see when the shuttle gets close to a UFO. Question is- do the aliens know Straker’s name or has their weapon honed in on already latent feelings buried in the minds of many SHADO operatives? 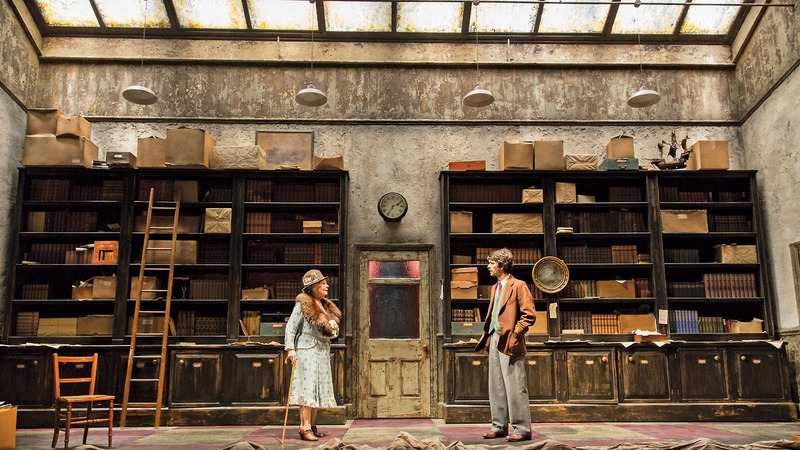 "And I need an axe in case anyone tries to kill me while I'm asleep..."
Judi Dench and Ben Whishaw, two great actors from different generations, verbally spar over the gap between childhood and adulthood in a new play at London’s Noel Coward Theatre. John Logan’s new play imagines what was said when the real life inspirations for two classic children’s characters met. In truth the rendezvous in the 1930s was fleeting but Logan extrapolates what sort of things they could have discussed given their similar circumstances. Of course you first have to accept that both would be able to articulate their lives so cleverly and there are times when the verbal sparring is just too intellectual to be anything other than something a playwright would create. Yet seeing two great actors at work is something to treasure even if the narrative can sometimes be over indulgent. 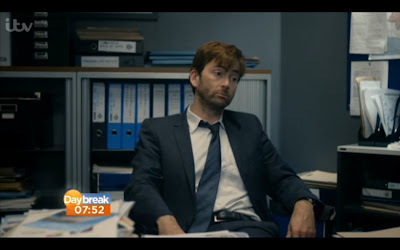 In the rush of speculation guessing who the guilty party will be, it is easy to lose sight of how such an event affects any community and it is to Broadchurch’s ultimate credit that Chris Chibnall manages to draw us back to that. By revealing the killer half way through this final episode he is then able to show us what it means for those in close proximity and the sort of uncomfortable closure these things inevitably bring. As we’ve come to expect matters unfurl at a stately pace and if you had already worked it out it doesn’t detract from the power of the finale. "Is that the killer do you think?" "No, it's a donkey." Spoiler warning – plot details beyond this point. Four episodes into what we are obliged to refer as ‘Season 7b’ (or the 2013 series as DWM prefers) and finally there is a spark of quality. So far we’ve been treading water this year. ‘The Bells of Saint John’ was a silly run around which just introduced the new plus-one (or, in this case, the third version of the same character). ‘The Rules of Akhaten’ was worse: a basic re-tread of Season One’s ‘The End of the World’ with less heart and a frankly ridiculous trip on a space-bike that made scaling the Shard on a Triumph almost acceptable. And ‘Cold War’ likewise only reminded one of Robert Shearman’s far superior ‘Dalek’. If Season 7b was an album it would be a tired greatest hits released by a record company whose artist has long passed its sell-by date. 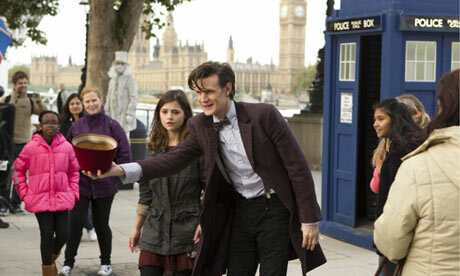 The Doctor is so busy he doesn't notice the old fashioned ghost behind him. When a wayward UFO crash lands into the house of a psychic it brings unexpected problems for SHADO. After a run of dull stories, `ESP` liven things up with the interesting premise of a man with ESP who can tell what people are going to say before they say it. Played by John Stratton with a nervousness that looks close to terrified John Croxley is not only haunted by his gift but then suffers when a UFO crashes into his house killing his wife. Perhaps stung into action by SHADO’s less than compassionate response he puts all he knows about the organisation into a screenplay delivered to the studio in a ploy to lure Straker and Freeman to their deaths. 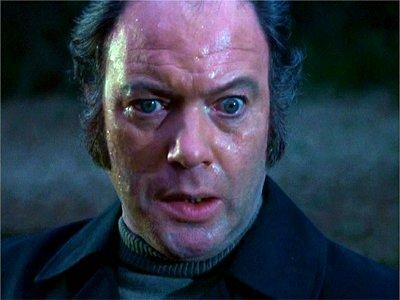 Another terrified actor is informed he has a part in UFO. One step away from unveiling the killer, ITV’s gripping drama hints at a shocking alternative..
"Do you know who did it?" "No. Do you?" "Er, no." The Boomtown Rats: She's So Modern [NEW]. 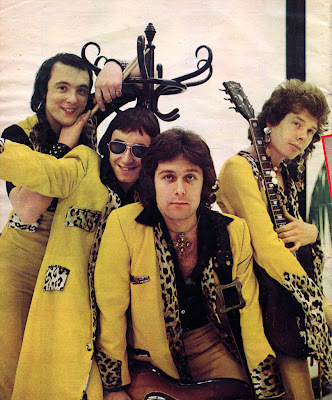 A studio performance from The Boomtown Rats singing a song which isn't I Don't Like Mondays. Some of the audience have been given little flags to wave and they're going nuts with enthusiasm. Time has given some of the lyrics an odd twist. Try describing someone as, “so 20th century,” now and you might as well call them old fashioned, but describe them as, “so 1970's” and it sounds like you think they are delightfully retro. As The Boomtown Rats finish a girl in the centre of the audience turns to face the camera and jumps up and down waving excitedly. I wonder if she saw herself on the repeat? After 39 (!!) years, the Ice Warriors are back, BACK, BACK!! 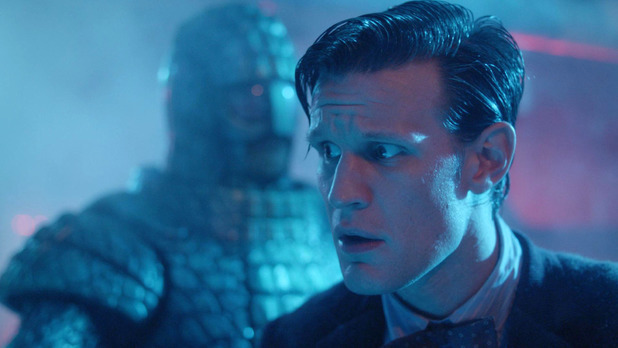 In storytelling terms, the Ice Warriors enjoy far more potential than either the Cybermen or Sontarans yet have remained dormant in the revived Doctor Who canon until now. Mark Gatiss’ taut subterranean tale re-invigorates them in much the same way as `Dalek` did for the metal meanies and similarly feels as much a prequel to something larger as it is an event in its own right. `Cold War` manages to simultaneously unveil the Ice Warriors of old yet breathe enough new life into them to suggest they have a viable future and just as he did with `The Unquiet Dead`, the writer subtly weaves between old and new Who with panache. A celebration at SHADO HQ brings back mixed memories of the foundation of SHADO for Straker. UFO is a series that possess a remarkable capacity to surprise. Just when you think you’ve seen the dullest episode they could manage, along comes one that is even less exciting. This one takes the entire packet of biscuits. While it might seem interesting that we get to see how SHADO formed, we should know better by now. Once again any thrills are left to one side in favour of exposition, meetings and people looking worried. Presumably the writer imagined that focussing on the deteriorating Straker marriage would add emotional ballast but when every conversation the couple have is clichéd and unconvincing it does not. Never mind the confetti; you can check off all the expected signposts along the way- he stays later at work; check, she demands to know where he’s been: check, she suspects he’s having an affair; check AOK. "Ed- are you wearing the curtains again?" 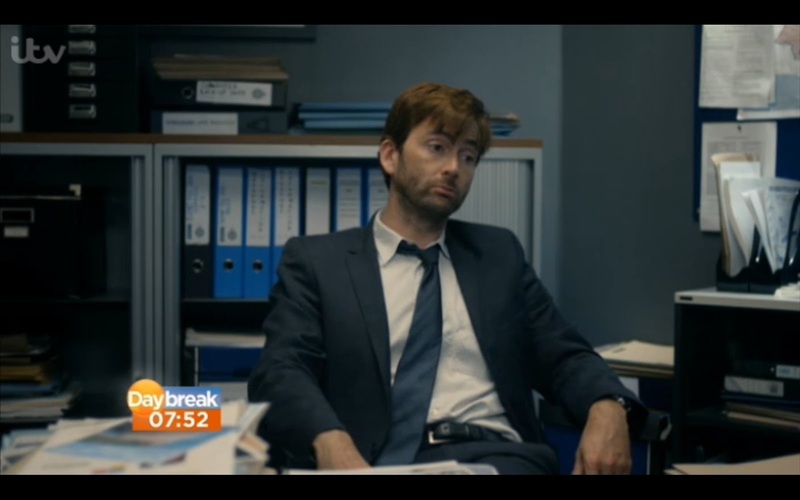 "Oh no, that David Tennant's in something else next week." Warning - Spoilers ahoy if you go beyond here. Mud: Cut Across Shorty [NEW]. Someone's bought the vision mixer a new toy; possibly a Quantel DPE 5000 digital effects system. During the introduction to Cut Across Shorty the vision mixer freeze frames the picture in a way which ironically now looks like a faulty hard disc recording, and made me think my box had gone wrong. Then, just when you think the tech demo has finished, the vision mixer finds a new button; picture in picture! First in the top right corner, then in the top left, we get an overlaid close-up of the band complete with reduced frame rate effect. The electronic effects used on Top of the Pops have become more complicated recently we're starting to see the programme move towards the visual look which I remember from the early 1980s. As for the song, it's good fun. A nice slice of rock and roll, presumably Mud were hoping to cash in on the 50s nostalgia which peaked in 1978 with the summer of Grease. 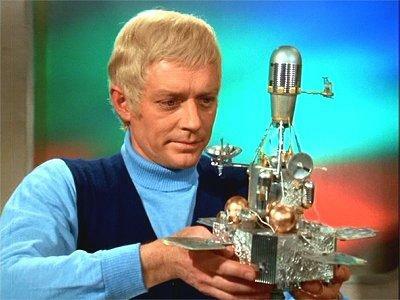 Straker’s ambitious plan to launch a satellite that will track a UFO to the aliens’ home planet overlooks one key thing. More academic exercise than space adventure, `Close Up` sees UFO at its most fussily technical. There are blueprints, satellites, planning meetings, schedules, spacewalks and ultimately a denouement that relies solely on an overlooked piece of equipment. Every time there is a hint of character activity, it is snuffed out by another round of techno jargon or business speak. Devoid of much of an attempt to spice up the material the end result is like watching a documentary about a top secret organisation. If it were any drier it would be the desert; kids in 1970 would surely have lost interest. It’s not often that a story involving a failing business has an ending that is at least partially happy but in the case of HMV this appears to be the case. The chain has another chance having been bought by a company called Hilco who will re-launch it shortly and will keep open more stores than was originally intended in what will be a portfolio of 141 shops. How much the public reaction To HMV’s woes swayed Hilco into their decision, announced yesterday, we may never know but it surely played some part. After all how many other big names have sunk in recent years without such a dramatic rescue? They will also have seen- as many of the public have- the possibilities that a strange turn of events have given HMV. Just a year ago, it looked like it had no future at all. Now, while no-one is suggesting it will last indefinitely there is every chance it can have a ten year or maybe longer run because of how some things have not turned out quite how experts predicted. Bob Stanley looks at the first episode of the second half of the seventh season!! It took me until June 2012 to watch the 2011 Christmas Special: it's thanks to John and his request for me to write a review that I watched `The Bells of St. John` reasonably close to original transmission. 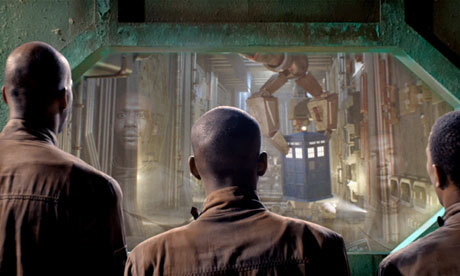 I must say I was underwhelmed by the thought of a new series of Doctor Who, even in this 50th anniversary year. That's heresy for a fan of 30 years' standing! Maybe I'm too old and cynical to enjoy the show in its hip, modern clothes? Maybe I've finally outgrown it? There has been a lot written lately about press freedom, most of it hugely exaggerated stuff suggesting criminals of all kinds will be free to roam if the press are gagged in any way. This view overlooks / ignores the huge number of miscarriages of justice that occur each year and, even worse than that, cases where a person is named and shamed only for it to be later discovered he or she is innocent. 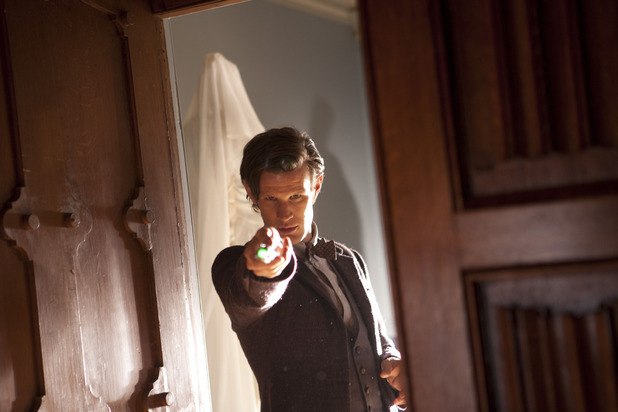 Chris Chibnall’s nervy, powder keg of a fifth instalment is clearly riffing on the case from a few years back of a man who lived in the basement of the house where a girl was killed. Because he was unconventional looking the newspapers decided he was guilty. They didn’t actually say that of course, but the pages and tone of the copy suggested nothing else. It would therefore be very easy for this episode’s tale of newsagent Jack Marshall to become a polemic but Chibnall takes care to acknowledge all sides of a complex debate. 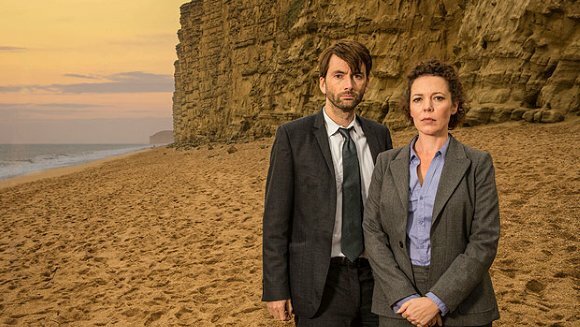 He seems to realise television and film drama plays a part as well in our perception of people, especially suspects in the sort of shocking case Broadchurch deals with. This balance, maintained throughout but never overwhelming the human drama delivers some of the best television writing seen in a long while.